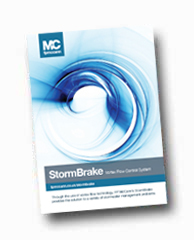 FP McCann’s StormBrake™ calculator lets drainage engineers determine the StormBrake™ performance characteristics and overall flow chamber specifications. To gain access to FP McCann’s StormBrake™ calculator, simply register below to create an account so that the report can be sent directly to your email. Once registered, you can quickly login to the online portal where you can enter the head of water in metres and the flow of water in litres/second.